What is Involved in a Purchase of a Condo that is on a Land Lease? 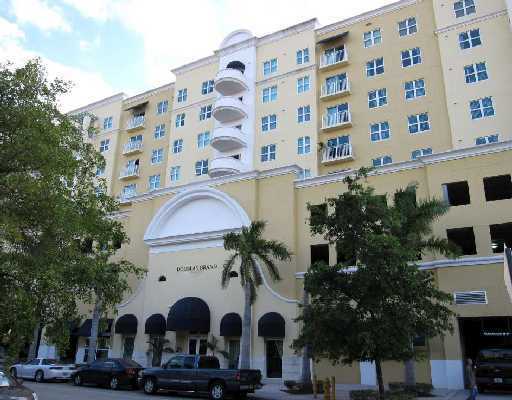 Several weeks ago my listing at 50 Menores Ave, #813 in Coral Gables closed, but not without a couple of speed bumps. It turned out the building in which the condo was located had a land lease. This resulted in the need for a few extra steps in order to make sure I was able to get this deal wrapped up. This showed me that although this situation isn’t common, it is important for people to be aware of what needs to be done in a sale if their unit is in a building with a land lease. Below is a piece written for this blog from Mario Pereira, the Mortgage Loan Originator, who I worked with in the closing of this unit. When a condominium project is built on a land that is lease and not purchased, units will be purchase as leasehold rather that fee simple. This method of building was more common many years ago than what it is today and for that reason many Banks, Mortgage lenders and Attorneys are not familiar with leasehold mortgage lien. The fact is that Fannie Mae and Freddie Mac will purchase loans with Ground Leases as long as it will follow the requirement of having an Attorney Opinion Letter addressing items specify in their guidelines. Among the most important things Opinion Letter must address is that Attorney has reviewed the Ground Lease given the day Ground Lease was signed, who the Tenant/Landlord are and the term of the lease; being the term of much importance, because the term of the leasehold estate must run for at least 5 years beyond the maturity date of the mortgage; that the Loan secures the Borrower’s property improvements and the Borrower’s leasehold interest in the land which is the subject of the Ground Lease; that the Borrower’s leasehold estate and the Borrower’s property improvements need to be subject to a leasehold mortgage lien and that will be reflected in the Mortgagee Title Policy issued for the benefit of the Lender; that all lease rents, payments and assessments to the Condominium Association are paid; that the Ground Lease does not impose a requirement that the Tenant retain voting rights in any homeowner’s association and that the Ground Lease provides for a ten (10) day grace notice period to the Lender of any default allowing the opportunity for the curing of the defaults. There are many other statements an Opinion Letter must address, but the above are the most important. The biggest problem with Opinion Letter is to find Attorney that understands the language of requirements in Fannie Mae guidelines and will not feel intimidated by it. Also, must be willing to dedicate the time to prepare.